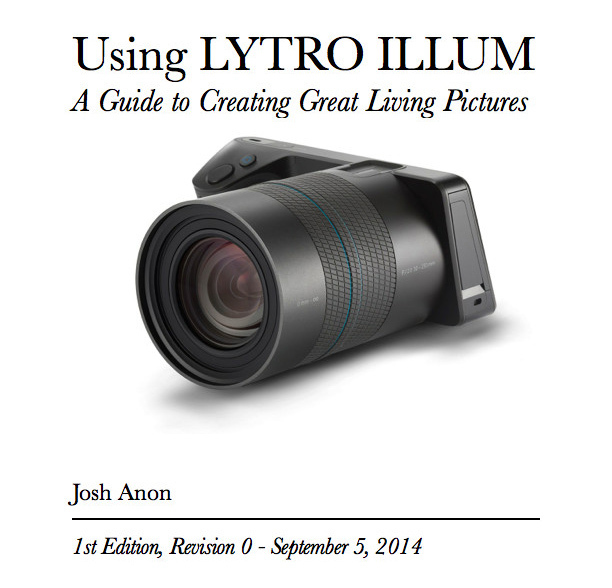 The following press release was published by Lytro on 6 November 2014. With access to Lytro’s advanced light field capture devices and processing engine, a new wave of pioneers in holography, microscopy, architecture, security and many more imaging fields can reimagine and customize their products. For instance, customers could optimize a special lens for analyzing soil samples, or customize a thermal sensor to analyze individuals’ heat signatures. MOUNTAIN VIEW, Calif. – (November 6, 2014) – Lytro, Inc. today announced the Lytro Platform to empower innovative organizations to harness the full potential of the light field in their industries. Signaling the expansion of Lytro’s proprietary light field technology beyond the domain of photography, the Lytro Platform will bring the transformational power of the light field to an entirely new set of imaging applications for the first time. The Lytro Platform advances the company beyond the realm of camera manufacturing and into a broader role of enabling innovation in imaging, positioning Lytro as the hub of a new technology ecosystem. The first product to be released as part of the Lytro Platform is the Lytro Development Kit (LDK). The LDK provides imaging researchers with the highest degree of control of Lytro’s advanced light field capture devices and software processing engine. It paves the path for deeper partnerships with technical R&D teams and enterprises in new undiscovered applications and scientific fields. Lytro will be a strategic partner, helping customers discover new use cases, automate processes and even design custom hardware. In the future, Lytro will release other new products as part of the Lytro Platform. A number of companies and government agencies have embraced the Lytro Platform, including NASA’s Jet Propulsion Laboratory, which is leveraging Lytro’s LDK technology to develop new light field cameras for use on future space missions to other planets. Other partners include General Sensing, a startup working on innovative, experience changing products, the Army Night Vision, and Electronic Sensors Directorate, as well as a major industrial partner that develops a range of products for government applications. The LDK is available from Lytro, starting at $20,000. To explore how the Lytro Platform could benefit your organization, visit http://lytro.com/platform [link updated to our local copy, since Lytro went offline]. The use of the words “partner” and “partnership” does not imply a legal partnership relationship between Lytro and any other company.